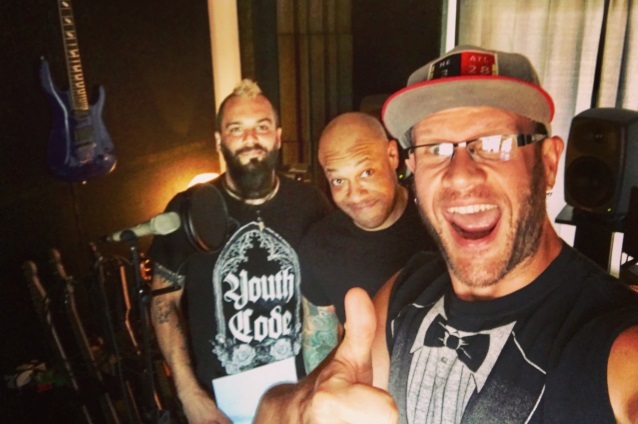 Massachusetts metallers KILLSWITCH ENGAGE have reunited with former singer Howard Jones for a new song. Leach didn’t provide any details on what the track will be used for, but he did offer a few hints by including the hashtags #kserecordingsessions, #Duet, #TheSignalFiresAlight, #LightTheTorch and #YesItHappenedYouKnewItWouldSomeday. The follow-up to 2016’s “Incarnate” will mark the band’s third full-length effort since the return of Leach, who rejoined the group in 2012.